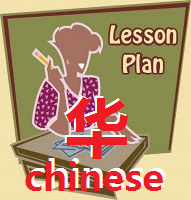 For chinese school teacher, please find the Rancangan Pengajaran Tahunan KSSR (Chinese School) below. Hope it helps! Other subjects will come in very soon. Enter your email in the box or click FOLLOW button below so that I can inform you at once when there is any update. To see more Rancangan Pengajaran Tahunan, please go to the " Lesson Plan" tab above or click here. pls I need instrument pentaksiran BI yr 2,-ely3364@hotmail.com TQ for yr kindness!! !